Nickie is wishing everyone a good morning and a wonderful day! 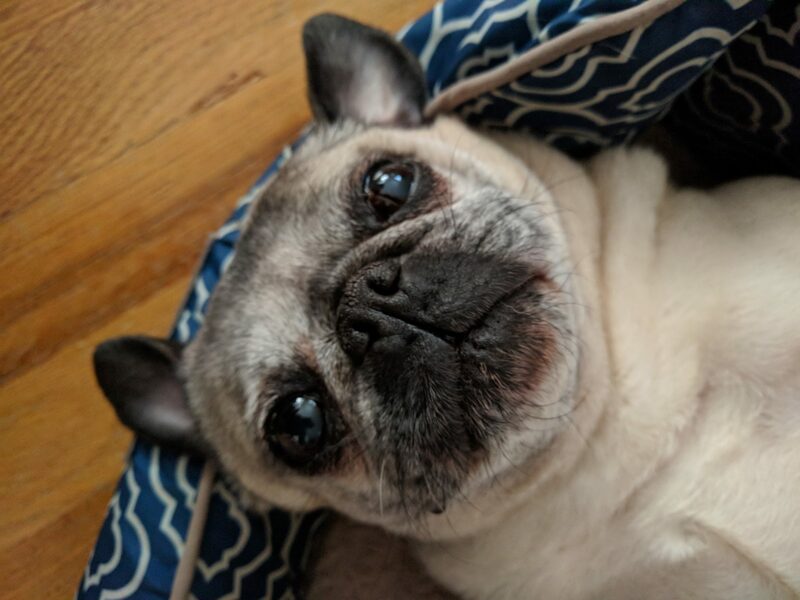 Seeing her beautiful pug face first thing in the morning always brightens our day, and we hope it makes you smile too! Sometimes when we go out on a long walk, Nickie sometimes reaches a critical point where she refuses to walk any farther. This can also happen on a short walk if she finds a stopping spot that she particularly likes! Here she is showing off her stubborn side and ignoring our gentle encouragement to keep walking because we’re almost home. Looks like someone is going to have to be carried the rest of the way! All tired out today after a walk! 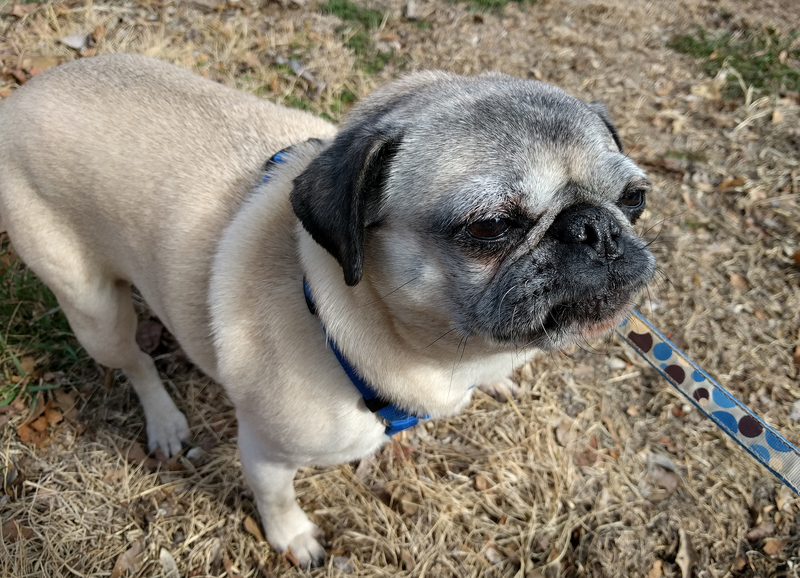 Now that the weather is finally warming up, and the sun is peaking out from behind the clouds, Nickie was able to go out to enjoy a nice, long walk around the neighborhood. It looks like the exciting sights, smells, and exercise tuckered her out! She looks so cute sleeping that we couldn’t resist snapping a picture! Nickie the pug demands few things in life. On most days, she only demands breakfast as soon as she wakes up, dinner starting around 3pm (even though we try to make her wait until 4pm), and belly rubs. 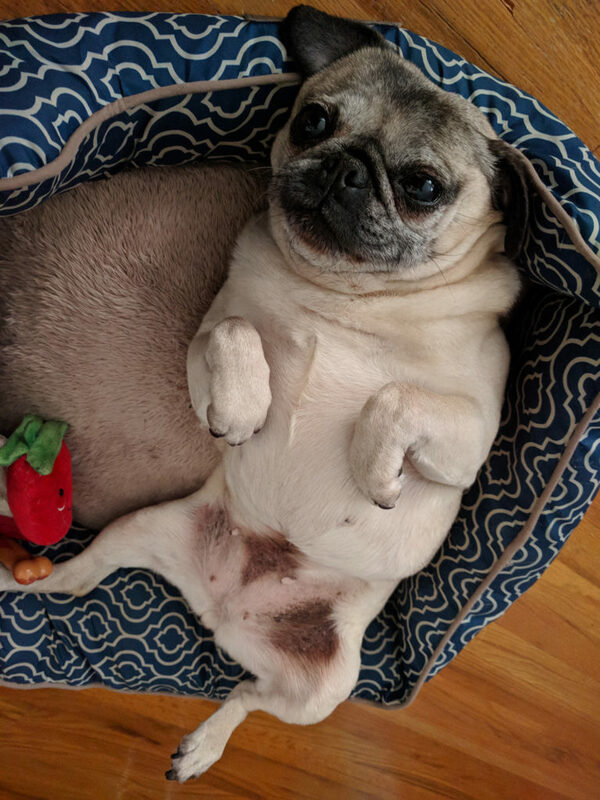 When she’s ready for her belly rubs, Nickie rolls over, tucks in her paws, and proceeds to huff and stare until the belly rubs begin. 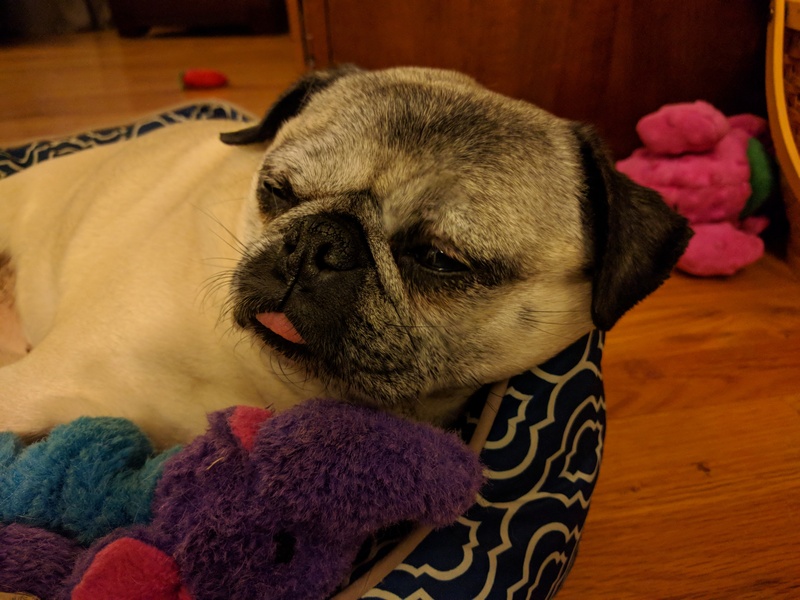 Nickie is going into an after-dinner food coma, but it was worth every bite! Dinner time is her favorite time of every day (followed closely by breakfast time). However, like most other things, it makes her very sleepy! She’s getting ready to settle in for her traditional after-dinner nap time. 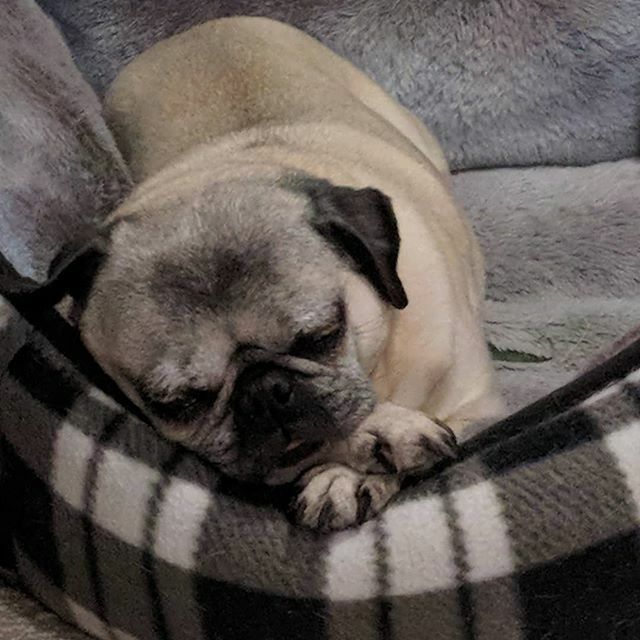 Sweet dreams to our cute pug!